Several years ago, for Valentine’s Day Wheels gave me two bags of Dove Dark chocolate and a magazine article about the health benefits of dark chocolate. He’s a keeper! Gave me chocolate and a reason for eating it! If you need a reason to eat your Valentine chocolate, you’ve come to the right place! Surprisingly, chocolate is much better for health than Americans recently believed. 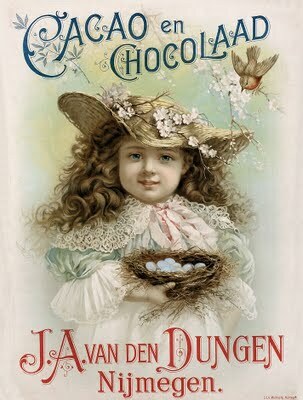 In fact, the earliest use for chocolate was medicinal. Chocolate is plant based, as are the fruits and vegetables recommended for good health. Used by the Aztecs to keep public officials healthy and give their warriors strength and endurance, the beans of the cacao tree were made into a frothy bitter brew. The Spanish explorer Cortes took cacao beans back to Europe where it was used medicinally and also became a popular drink. Later, it was given its scientific name, theobromo cacao, or “Food of the gods”. But then people began adding milk and sugar and chocolate’s health benefits were forgotten. If you wrap it around quantities of caramel, nuts, marshmallow cream fillings, not only does the calorie meter go through the roof, but the real benefits of chocolate are cancelled out. Just the chocolate, ma’am – just the chocolate. For people at risk for diabetes, flavanols help restore more normal function between cells and insulin to better control blood sugar. Source of significant amounts of copper, potassium and magnesium, minerals that are crucial in cardiovascular health and prevention of type 2 diabetes. Studies point to 1 ounce of dark chocolate daily as the optimum for health. Dark chocolate is lower in calories than its milk chocolate cousin, but unfortunately still is higher in calories than other plant based sources of heart healthiness. Enjoy your daily square of chocolate – but don’t overdo!! And the story of the case of tuna is for another Valentine’s Day! I really enjoyed your post and that is a precious print. Thank you so much for sharing with Full Plate Thursday. Hope you have a great week end and come back soon! Ha! I love that he gave you an article with the chocolate encouraging its consumption. Definately a keeper! Happy Vday!